Have you ever heard yourself praying for a cheaper alternative to Benefit's Push Up liner that works? 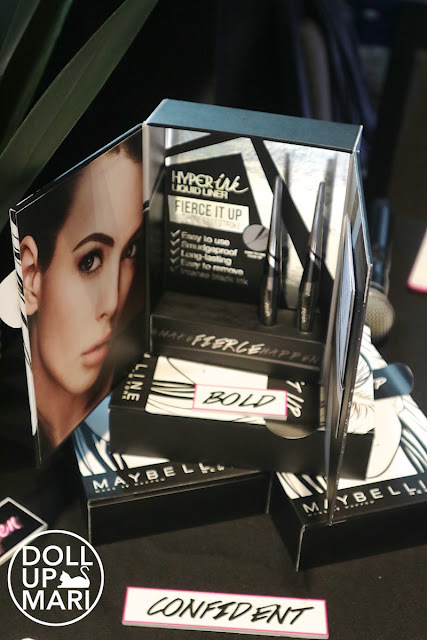 Weeell whether you were praying for that or not, Maybelline actually did go and make an eyeliner with the potential to save you tons of time (and money) this year. 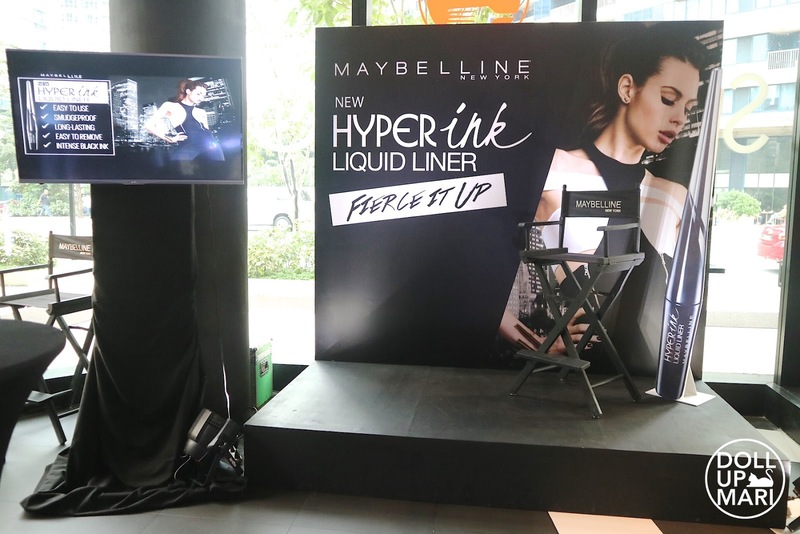 HyperInk is Maybelline's first launch this year, and I think it's not just a launch, but a statement that they are telling all of us "I gotchu fam" in 2017 with all their industry disrupting launches. 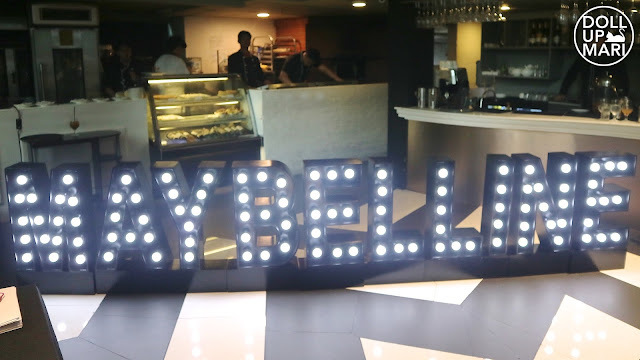 I am among the guilty who will admit that it's just not getting as much love as it deserves yet because most of the press and media are still busy finishing off 2016 backlogs. I'm sure it's not just me (hahaha). But I think once most of the press is over with 2016 you're bound to hear about this more and more often this year.I've road tested this already, and I love how affordable it is yet it has all the features we're looking for in an eyeliner when we're rushing (which is all the time). 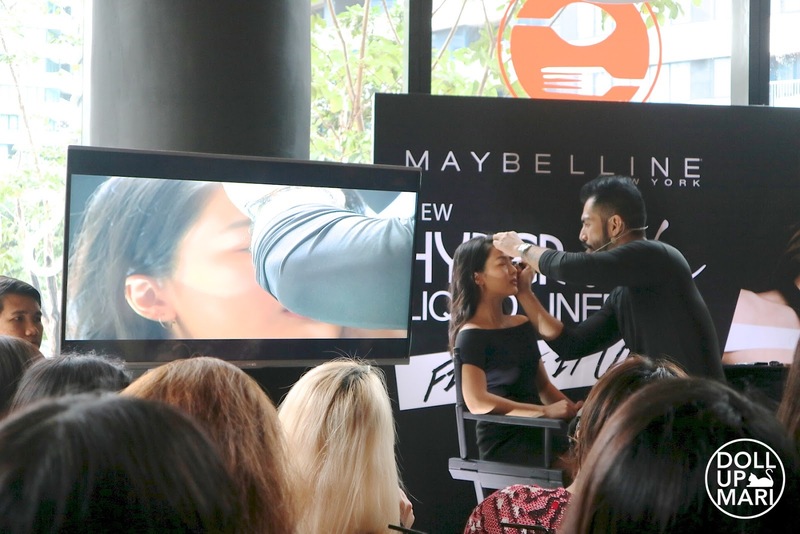 They had a speed eyeliner challenge which is why they had a lovely set up of Maybelline favorites. I got 2 minutes so I was able to have eyeshadow and mascara on as well! Had I known I would have brought a smartphone lens. When they said don't wear eyeliner, I thought there'd be pro Maybelline makeup artists who'd do our makeup, but whelp I guess we had to be the pro's for ourselves hahaha. 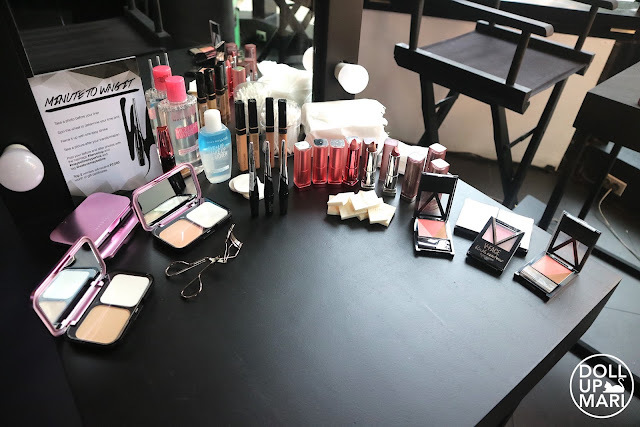 Here's a flatlay from the flatlay station! Jia Brion, product manager for eyes, gives a talk introducing the product. I think she knows that she has a very very good product and that it only takes a matter of time before people hoard this product. I went to the mall last week and there was no tester for this yet, so I am guessing that it will take a few weeks for this item to have traction. 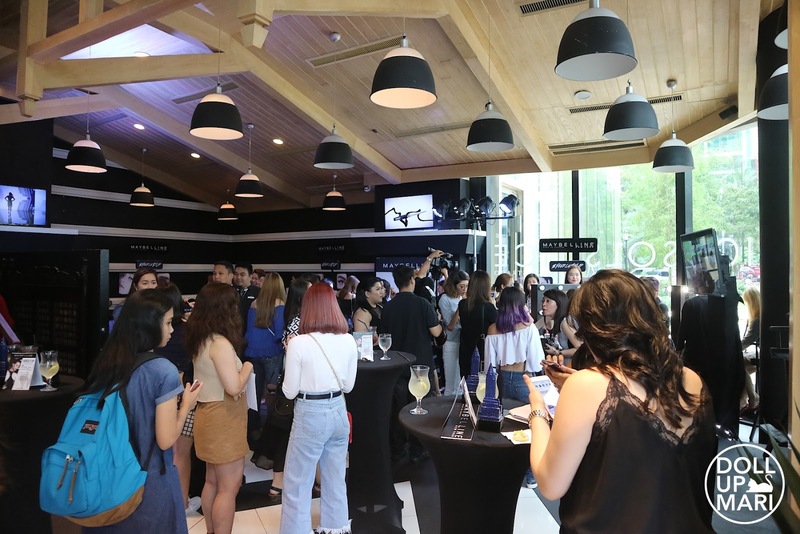 But once the sales forces are equipped with the knowledge and the testers, these eyeliners will surely fly off the shelves. 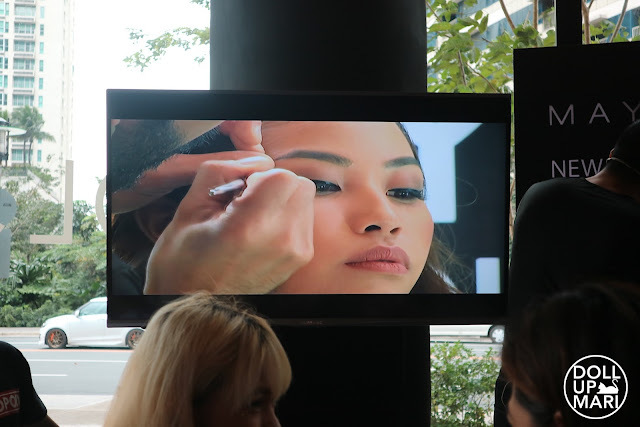 And to make this eyeliner legit, they had the master of life and makeup Jigs Mayuga come over to do a demo of eyeliner looks. 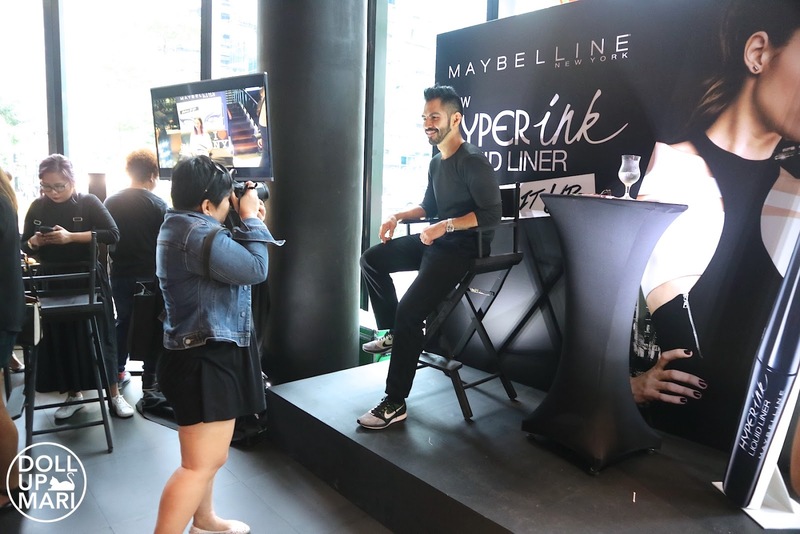 Fellow Maybelline makeup artists have done the makeup on the models, and he did their eyeliner. He had several models so he was able to showcase cat eyes and winged eyeliner and stuff, but I think the best pearl of wisdom he gave is to always give the eyeliner time to dry. He always asks his models to close their eyes momentarily, especially if the model has small or hooded eyes, in order to prevent a disaster. Applying eyeliner is one thing but keeping it together is another, and I think that the latter is more important than the former. As with any other Maybelline event, the side events are fun. 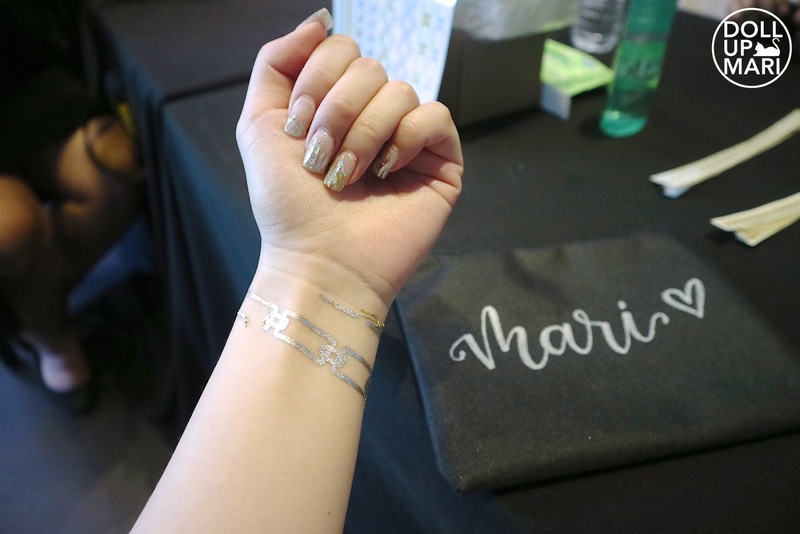 I had a golden temporary tattoo applied and I had my name scribbled on a Maybelline pouch by @writeitgracefully on IG who's just a sweetheart!!! I think after all the years of the press and media being interested in Jigs' work, he's also become quite a dashing model himself. He poses like he's been doing it for years. 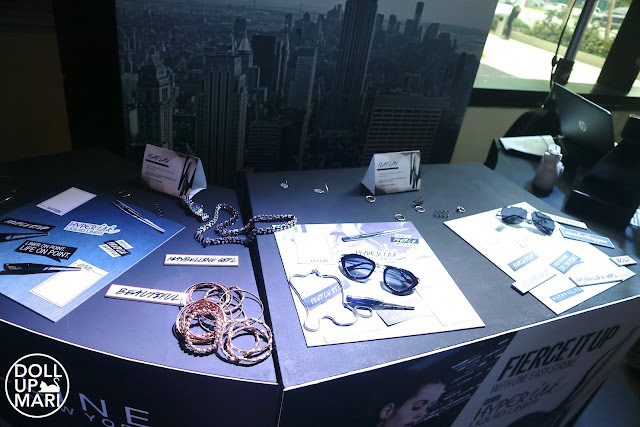 And yaaay, look at their cute setup!!! Woohoo!!! I am dying of backlogs so it may take time before you see me review this product, but for now I can already say that I like it. Love the flatlays, make-ups.. And being part of Maybelline.. Nakakainggit! 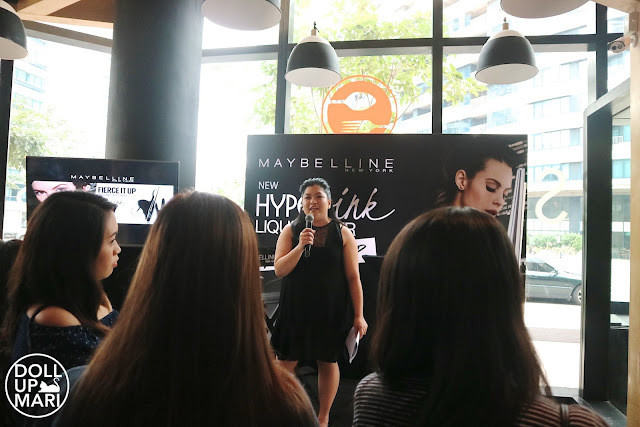 But infairness nung once nakagamit ako ng hyperink from Maybelline thanks to my friend.. 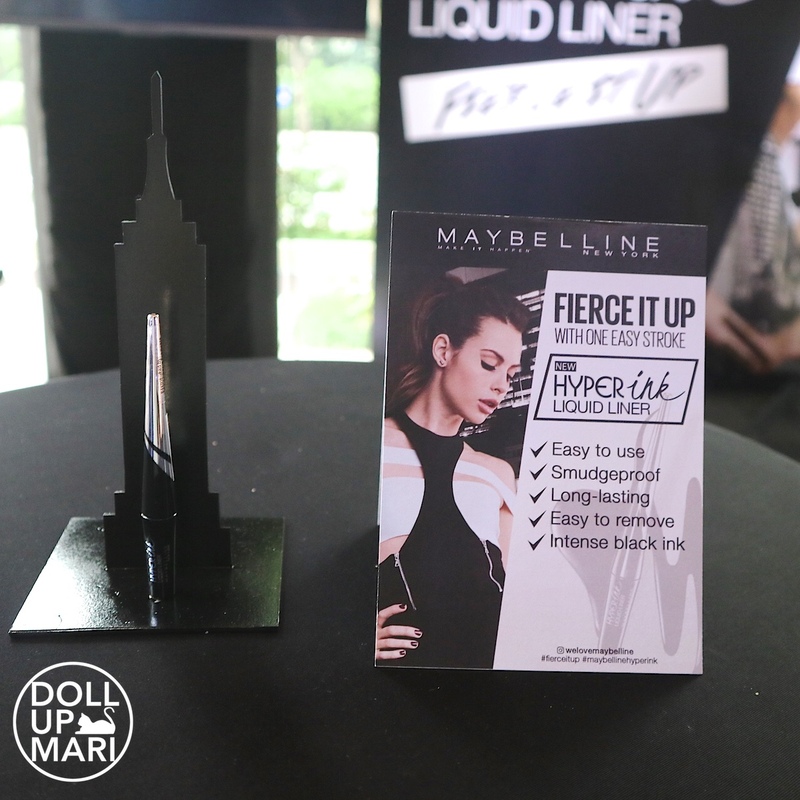 It's long-lasting tapos smudgeproof and easy-to-use!! Okay naman sya gamitin..